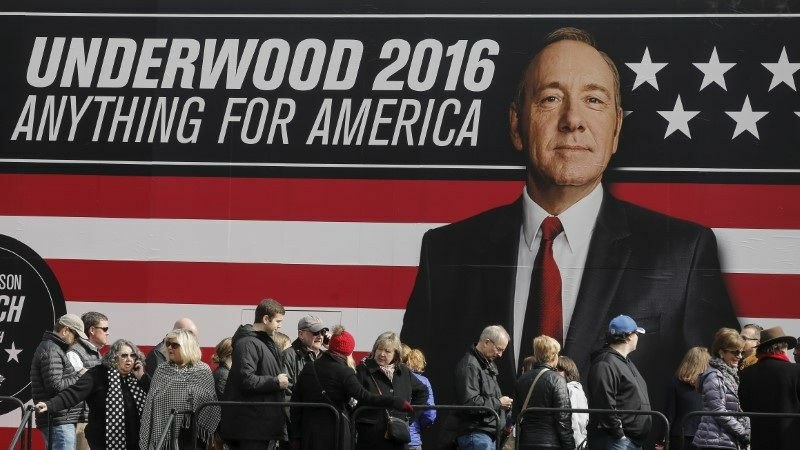 Production of award-winning House of Cards sixth season has been suspended indefinitely in the wake of sexual misconduct allegations against its star Kevin Spacey, media-streaming and entertainment company Netflix announced Tuesday. The move came two days after actor Anthony Rapp alleged double Oscar winner Spacey made a "sexual advance" when he was a 14-year-old boy more than 30 years ago, speaking out in the wake of the Harvey Weinstein scandal. On Monday, Netflix and MRC said they were "deeply troubled" by the allegations against Spacey, who was not currently scheduled to be on set. "In response to last night's revelations, executives from both of our companies arrived in Baltimore this afternoon to meet with our cast and crew to ensure that they continue to feel safe and supported," the statement said. In London, The Old Vic theatre -- where Spacey was artistic director from 2004-2015 -- said Tuesday it was "deeply dismayed" by the allegations levied against Spacey and called on anyone connected to the institution who may have a complaint to get in touch. "Inappropriate behaviour by anyone working at The Old Vic is completely unacceptable," it said. "We aim to foster a safe and supportive environment without prejudice, harassment or bullying of any sort, at any level." Rapp, 46, told Buzzfeed that in 1986, while both he and Spacey were performing on Broadway, Spacey invited the then 14-year-old to a party at his New York home. Spacey would have been 26 at the time. Rapp said he was in Spacey's bedroom watching TV when Spacey, apparently drunk, came in after all the other guests had left, and lay on top of him. Rapp said he squirmed free after a brief period of time and went into the bathroom, before leaving Spacey's apartment and going home. Spacey posted on his Twitter account that he was "beyond horrified" by Rapp's revelation, which he claimed not to remember before apologising. "I owe him the sincerest apology for what would have been deeply inappropriate drunken behaviour," Spacey wrote. He went on to say that Rapp's accusation "encouraged me to address other things about my life," and that "I know that there are stories out there about me." "I have loved and had romantic encounters with men throughout my life, and I choose now to live as a gay man. I want to deal with this honestly and openly and that starts with examining my own behaviour," Spacey wrote. Some reports have suggested that Spacey may face other accusers. Rapp said he felt compelled to speak out after the recent accusations against disgraced Hollywood mogul Weinstein sparked an examination of abuses committed by powerful men in the entertainment industry.